October 5, 2011 – Bumbershoot T. (Oh, and Bumbershoot.) | What I got rid of today. ← September – Mobile phone case. So, I went to Bumbershoot this year…I think for the final time. While I love my yearly excursion to Seattle to discover and see new emerging bands, I think I’m now choosing to pick music festivals a bit closer to where I live. 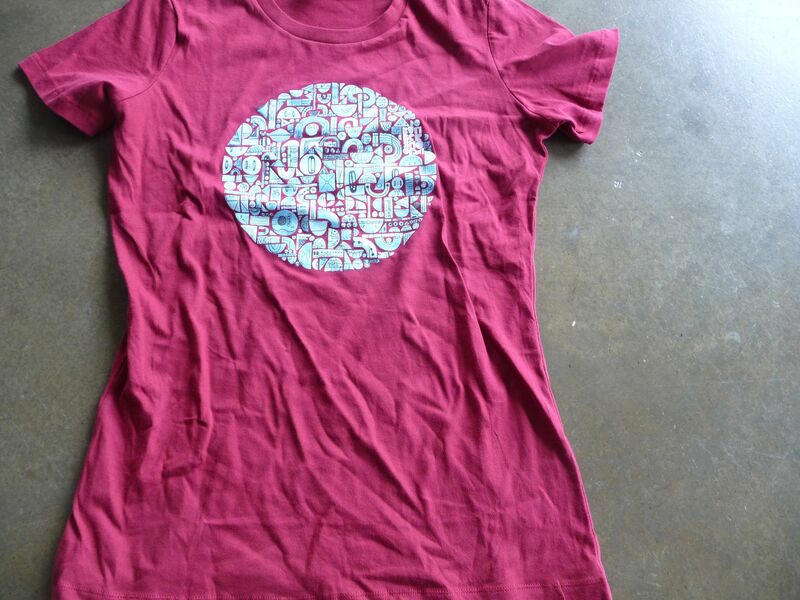 So, in honor of my final Bumbershoot visit…I RID this shirt…one I got for free at this year’s festival. Goodbye, Bumbershoot – you’ve helped me get to know so many emerging artists that are now part of my daily playlist…Cloud Cult, Ages and Ages, the Lonely Forest, Brite Futures, etc. etc. etc.